An integrated approach to the sustainable conservation of intertidal salt marshes in the lagoon of Venice. 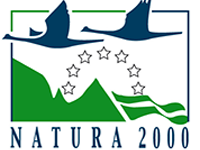 The LIFE VIMINE project (2013-2017) aimed to define and implement a novel integrated approach to the protection of salt marshes from erosion and to landscape management in the Venice Lagoon. The unique salt marsh habitats are rapidly disappearing from the Lagoon due to both natural processes and human impacts of various kinds (e.g., lagoon hydrodynamic alterations caused by the excavation of deep channels and modifications made to the lagoon inlets, low amount of sediments entering the lagoon, waves generated by motor boats and wind, fishing techniques resuspending sediments, etc.). In LIFE VIMINE we constructed micro low-impact soil-bioengineering works to protect few critical eroding spots on the salt marshes edges, to stop erosion before it got out of control, assigning a key role to the design, monitoring and regular maintenance phases of protection works. The core of LIFE VIMINE was the involvement of local communities and stakeholders, fundamental to ensure the long-term sustainability of VIMINE’s activities beyond the end of the project through the deep bond of local communities to the lagoon and their knowledge of it. Our demonstrative project tested the efficacy of this approach in the northern Lagoon, in the area of the islands of Burano, Mazzorbo and Torcello and of the Laghi wetland. 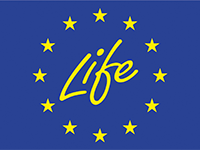 LIFE VIMINE is a project funded by the European Union through the LIFE Programme. The project total budget amounts to â‚¬ 2.024,295 of which the EU contribution is â‚¬ 1.396,763. LIFE VIMINE ended of the 1st September 2017. The results achieved during the project are summarized here.